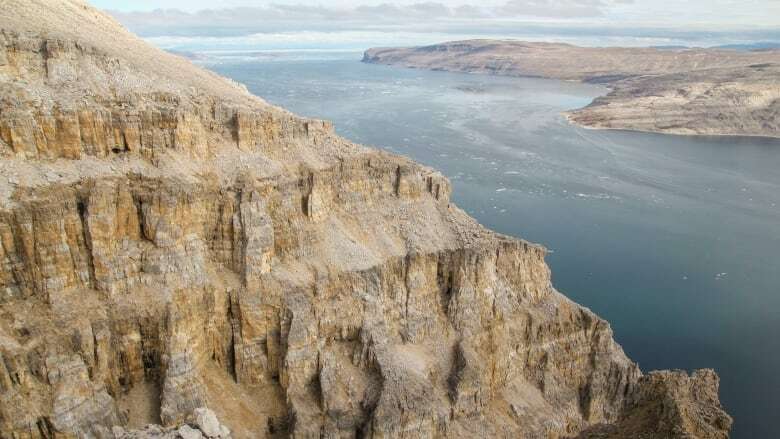 A Canadian-led study aims to settle the controversy over extraordinary Arctic fossils that represent the oldest known sexually reproducing organism and the oldest multicellular organism that used photosynthesis. 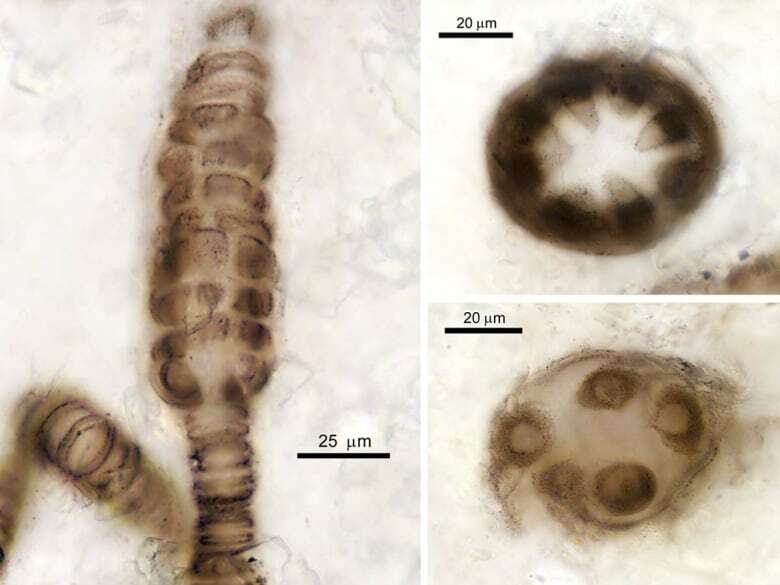 The fossil organism identified as a red algae called Bangiomorpha pubescens, found in rocks on Somerset Island and Baffin Island in Nunavut, was discovered more than two decades ago and estimated to be between 720 million and 1.2 billion years old. But the fact that its age could have been anywhere in a 500-million year span led to some controversy. Some scientists' calculations based on DNA evidence suggested red algae couldn't have existed 1.2 billion years ago. And being on the younger end of the range would have put its age as being similar to other fossils of recognizable complex organisms, making it nothing unusual. Now researchers from McGill University, using a relatively new radiochemical dating technique, have estimated that the fossils are between 1.03 billion and 1.06 billion years old. The fact that they're significantly less than 1.2 billion years old will likely reassure biologists who were previously skeptical of the fossil, said Timothy Gibson, lead author of the new study published earlier in December in the journal Geology. But the fact that it's more than a billion years old means that it's still by far the oldest recognizable multicellular complex organism. "It confirms that this fossil is really special," said Gibson, an earth sciences PhD student at McGill. Knowing precisely how old the fossil is also allowed the researchers to estimate that the very first plant likely evolved around 1.25 billion years ago. Bangiomorpha because it resembled "bangio" red algae that still exist today. Pubescens, because as the first sexually reproducing organism, found with male and female spores, it represents the "sexual maturity" of life on Earth. The fossil was extraordinary because it was found in a rock formation up to 1.2 billion years old and appeared to be the oldest multicellular organism that was a recognizable eukaryote — the group of complex organisms that include plants, animals and fungi — rather than a colony of microbes living together. "It is an extremely important fossil and has been quite controversial," said Andrew Roger, a molecular biologist at Dalhousie University who was not involved in the new study. Roger researches the diversification of life more than a billion years ago and the evolutionary rise of complex organisms. In an email, he said people were skeptical that Bangiomorpha was really a red algae fossil because it was so old and there weren't any other eukaryotes similar to the ones who live today in the fossil record from that time. "Most recognizable eukaryotes don't show up until around 800 million years ago." 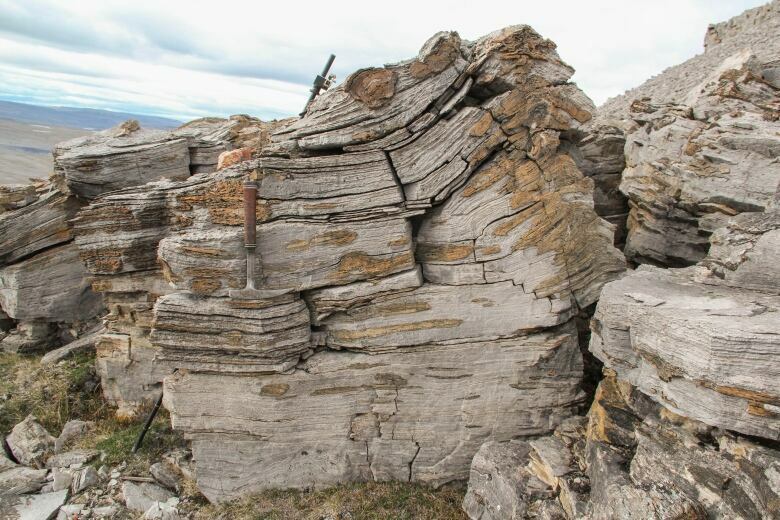 The reason it was so hard to tell how old Bangiomorpha was is that to measure the age of rocks, geologists typically rely on chemical techniques that can only be applied to layers of volcanic rock, Gibson said, and there wasn't much of that in the cliffs where the fossils were found. Working up there was a "dream come true" for Gibson: "It's a magical place I've wanted to go for a long time." 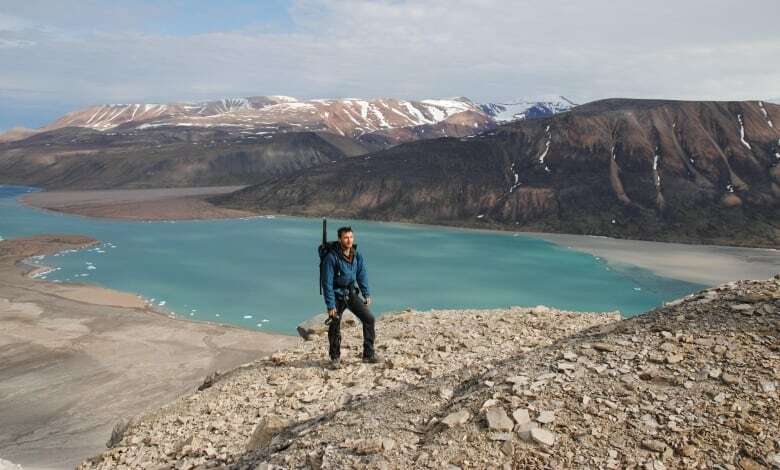 For four summers, he and a small team helicoptered in to sites between Pond Inlet and Arctic Bay. They camped on the tundra in lightweight tents at the tops of sea cliffs to avoid polar bears, then scrambled down to collect samples with simple rock hammers. Once back at the lab, the researchers measured the amount of radioactive rhenium-187, a rare radioactive isotope found in seawater that accumulates in organic matter and decays to osmium-187. Very little osmium-187 is found naturally in rocks. So by measuring the ratio of rhenium-187 to osmium-187, scientists can tell how long the rhenium has been decaying in the rock and therefore how long it's been since the rock formed. The new, precise date estimate for Bangiomorpha can now be plugged into computer models of evolution that estimate when different species evolved based on mutation rates in their DNA called "molecular clocks." Such models need to be calibrated with organisms from the fossil record. Gibson and his colleagues did that to estimate that the first photosynthetic eukaryote evolved around 1.25 billion years ago. Roger says the new, more precise age for Bangiomorpha measured by Gibson, Halverson and their colleagues is "definitely important — but it doesn't completely solve the problem." He said he still finds it "very concerning" that no other fossils of recognizable complex organisms besides Bangiomorpha older than 800 million years have been found to date. Molecular clock estimates of events in early evolution often have extremely large error bars — sometimes spanning hundreds of millions of years — partly because the fossil record from that time is so incomplete, he added. They'll only improve when more very ancient fossils are found. A few years ago, Roger notes that he and some colleagues did their own molecular clock analysis that suggested plants emerged earlier than Gibson and his colleagues calculated. "So it looks like there will be more debates about these things in the future!" he wrote. Gibson and Halverson's study was coauthored by researchers from Lawerence Berkeley National Laboratory in Berkeley, Calif., the California Institute of Technology, the University of Alberta, and the Geological Survey of Canada. It was funded by the Agouron Institute, the Natural Sciences and Engineering Research Council of Canada, the Polar Continental Shelf Program, the Geological Association of Canada and the Geological Society of America.